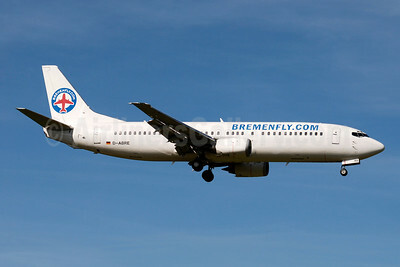 (bremenfly.com) (8B/BFY) (Bremen, later Berlin) 2009 - 2010. Photos. Framable Color Prints and Posters. Digital Sharp Images. Aviation Gifts. Slide Shows. Bremenfly.com Boeing 737-46J D-ABRE (msn 27826) ZRH (Paul Denton). Image: 903395.